CHIVHU- Chikomba West constituency MP, Doctor John Chamunorwa Mangwiro has donated 25 bags of cement to three families in Ward 8 to rebuild their houses which were destroyed by Cyclone Idai. Mutsure, Gweme and Chidhakwa families' houses were completely destroyed leaving them seeking shelter with neighbous. 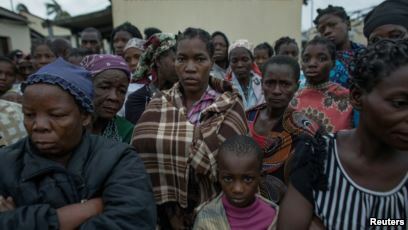 Mangwiro said the families should be given additional foodstuffs since they lost all they had.